I've got more exciting news to share!! I am now a "resident blogger"
social issues and current affairs. 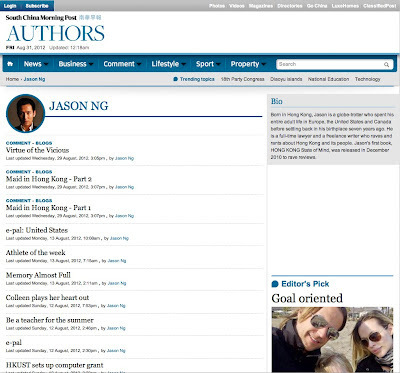 Future postings will be automatically fed to the newspaper's website. 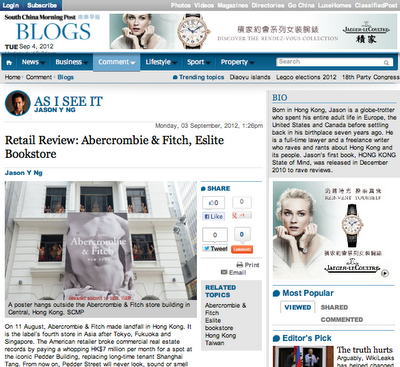 That means followers of my review blog《Real Deal》and my op-ed blog《As I See It》will be able to read my articles either here or at SCMP.com!! See also the author's page. The South China Morning Post, Hong Kong's leading English language daily newspaper, has completely revamped its website with mobile versions for iPhone and iPad. 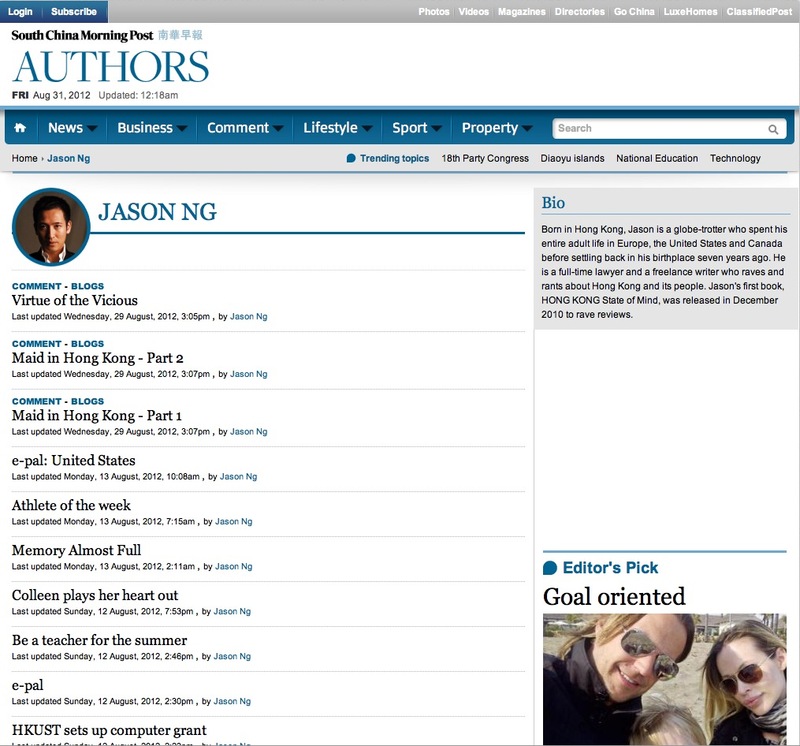 The new site was launched at midnight on 31 August 2012. Subscribe today! good news, but i hope you will have time to update this blog as well with news from Asia from time to time..
Congratulations ! Jason. Keep it up and I am sure your fans/friends are very happy for you.